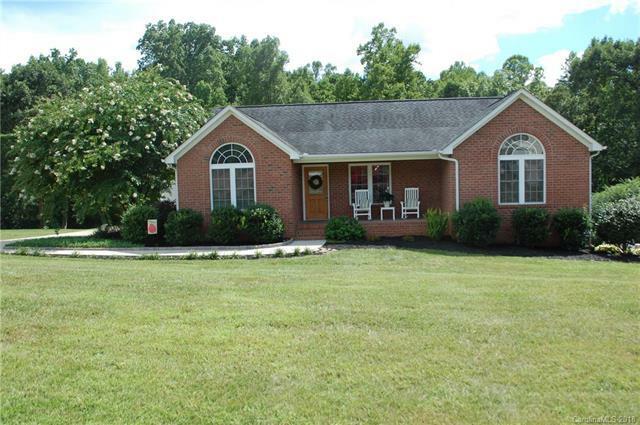 4120 Ore Bank Drive, Lincolnton, NC 28092 (#3417432) :: Robert Greene Real Estate, Inc. Beautifully maintained ranch home with just over an acre of room to spread out centrally located in the quiet area of Pumpkin Center. Neighborhood is only 1 street with a cul-de-sac so no traffic!! This large lot has fresh landscaping and seems to go on forever in the back with a great deck off the back of the house to enjoy. Home has recently been repainted throughout, even the garage! The carpets have been professionally cleaned and this home is move-in ready. All appliances will stay including the washer and dryer. This is a split floor plan giving the master bedroom even more privacy. The open floor plan in the living areas as well as high ceilings are great for entertaining. Sit on the covered front porch and relax, soak in the garden tub or curl up by the fireplace in the winter. This home has it all and is waiting for you!! Offered by Blue Bike Realty. Copyright 2019 Carolina Multiple Listing Services. All rights reserved.